I popped into Handford Wines yesterday to say hello to Greg Sherwood, and have a look round. If there is a merchant in London who has a better array of really interesting wine, then I’d like to see it (and London is full of good wine merchants). Greg opened a couple of bottles to taste with me. 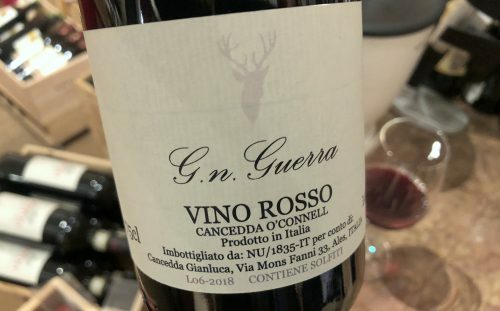 The first was the latest release from Mick O’Connell, who is based in Dublin, but makes small quantities of Grenache in Sardinia. He called previous vintages Garnacha not Guerra, but got told off for using the word Garnacha on the label (here’s my review of the 2015, with some background, and this is my review of the 2016). This year it is G. n. Guerra! Hanford get half (they still have 2016 on the shelf right now) and Carte Blanche get the other half. 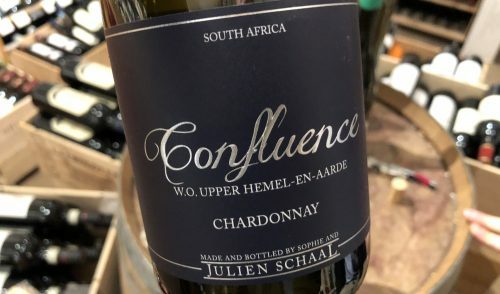 The second was a Chardonnay from Julien and Sophie Schaal, who divide their time between Alsaca and the Western Cape. This wine – exclusive to Handford in the UK – is stunning. It’s chiselled and precise.